The new F3 has all the makings of a class-leading supersports machine. It’s much more powerful than its rivals, is lighter and has a host of electronic rider aids, from riding modes, to electronic engine braking control, variable power maps and traction control. 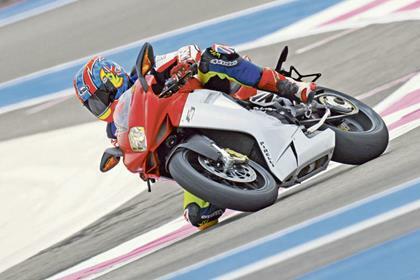 It has a counter-rotating crankshaft, like the factory Yamaha YZR-M1 MotoGP racer, is one of the best looking motorcycle creations ever and its three-cylinder motor has a rasping engine note to die for. But it’s flawed. Hard as it is to believe, the power delivery is rough, with holes, dips and stutters throughout the rev-range. The 109bhp GSX-R600 is faster, does the quarter-mile quicker and stops sooner, which goes to show how a smooth bike is always a fast one. Tubular steel trellis frame, with varying thickness tubes for rigidity and flex and an aluminium alloy single-sided swingarm. 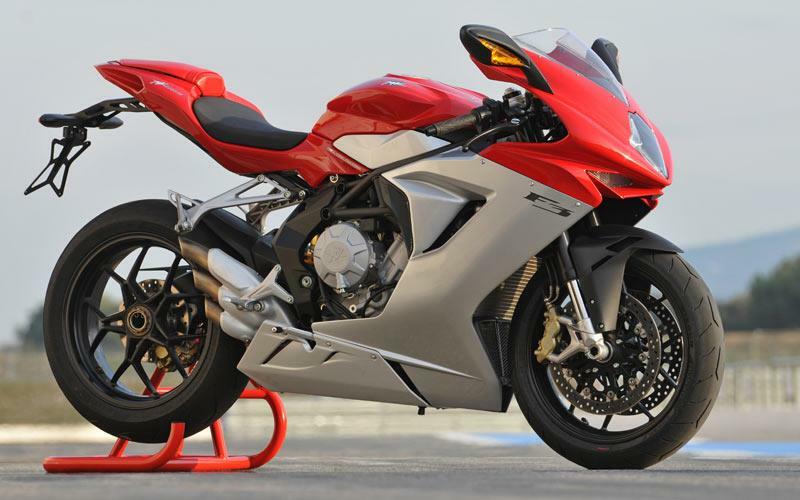 The wheelbase is just 1380mm, the Daytona 675’s is 1395mm. 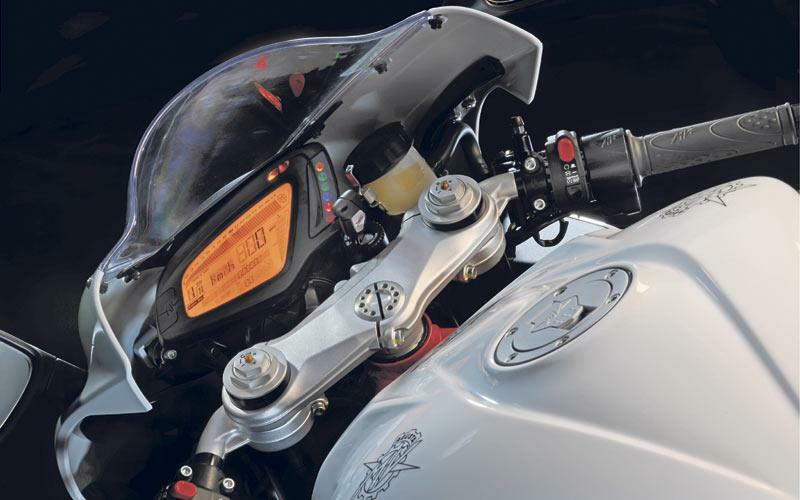 Dry weight is 173kg – the Triumph’s wet weight is 185kg. 43mm Marzocchi forks and a Sachs rear shock are both fully adjustable. Forged aluminium alloy wheels are shod with Pirelli Dialo Rosso Corsa rubber: 120/70 x 70 front, 180/55 x 17 rear. It’s Pirelli’s top-level road tyre giving good grip, feel and warm-up times in all conditions. The rear tyre has a slick edge for increased grip and a sticky SC2 compound. The treaded centre is a harder compound for durability. The F3 is very light and feels every inch a proper racing machine. It’s stable in fast corners, the brakes are some of the best in the business and it’s comfortable for such a petite-looking bike. The faster the terrain, the more the F3 likes it, but like the engine, the chassis isn’t suited to normal riding. It has a very harsh set-up, which crashes and kicks its bars over bumps. 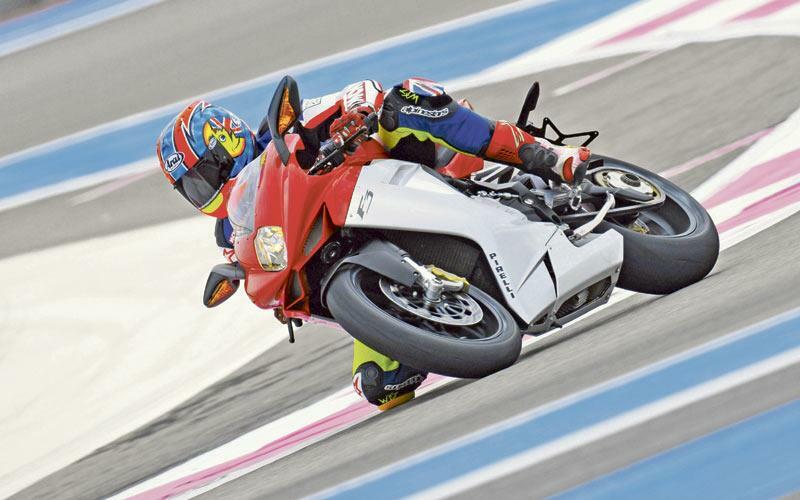 A supersport bike like this doesn’t need traction control, so it’s best to just turn the system off. Inline-three-cylinder 675cc, with counter-rotating crankshaft, titanium inlet and exhaust valves and a ride-by-wire throttle system. The engine has the smallest overall dimensions of any of its supersports rivals. Breathing through Mikuni 50mm throttle bodies, it’s the most powerful too, producing 128bhp at the crank and 118bhp at the rear wheel, at a heady 14,400rpm. 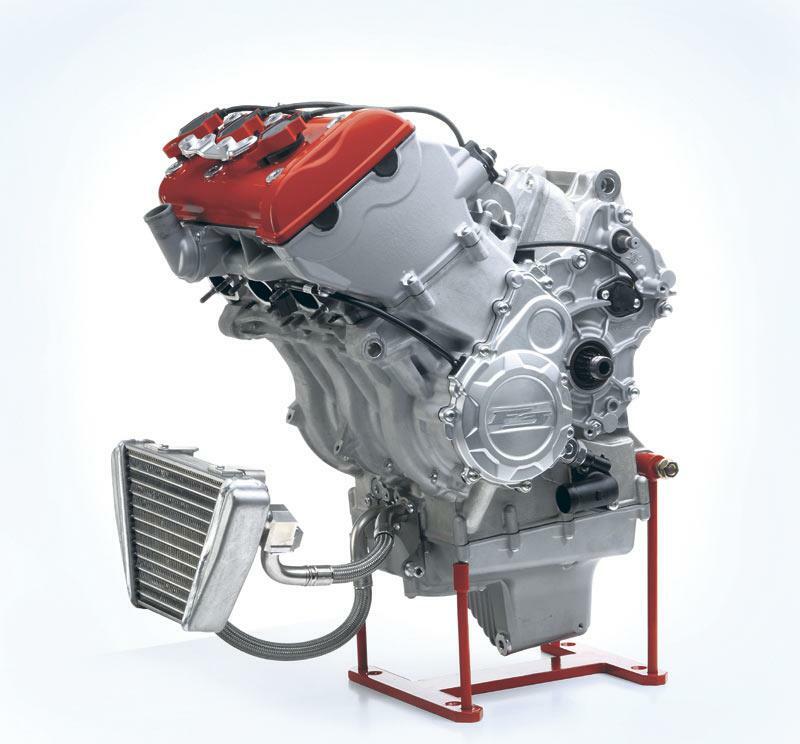 The engine weighs just 52kg and has an ‘over-square’ 79 x 45.9mm bore and stroke. 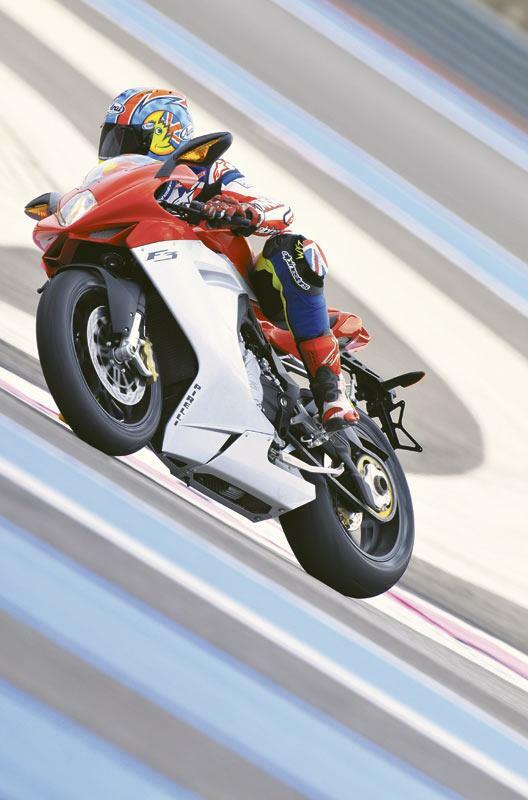 The Triumph Daytona 675’s is 74mm x 52.3mm. The F3 has Sport, Normal, Rain and Custom riding modes. Within each of the first three modes there are predetermined levels of throttle sensitively, engine torque, engine braking, engine responsiveness and an rpm limit. The custom mode lets you dial in these parameters specifically to suit you. Ride the F3 at high revs on-track or a super-fast road and it’s glorious – it has lots of power and a good throttle connection, but at normal speeds the fuelling and throttle response is terrible. You have to slip the clutch and dial in big revs through town to keep it running, like an old two-stroke and the power doesn’t come in predictably accelerating out of corners. On top of all that, the electronic engine braking control opens the throttle butterflies into corners to stop the F3 backing-in, but in reality it makes the bike accelerate alarmingly when you’ve got the throttle shut. There’s no question it’s beautifully-built and well-finished, but it’s too early to say if it will be as bulletproof as the competition. Many current MV owners complain of spare parts supply, let’s hope it will be different for the F3. If it wasn’t for the poor running issues, which we’ve experienced on a number of different F3s, MV’s new creation would be fantastic value for money – there’s definitely a great bike lurking in there, beneath the problems. As it is, it would need work from a specialist to get running properly, which isn’t what you’d expect from a new bike. 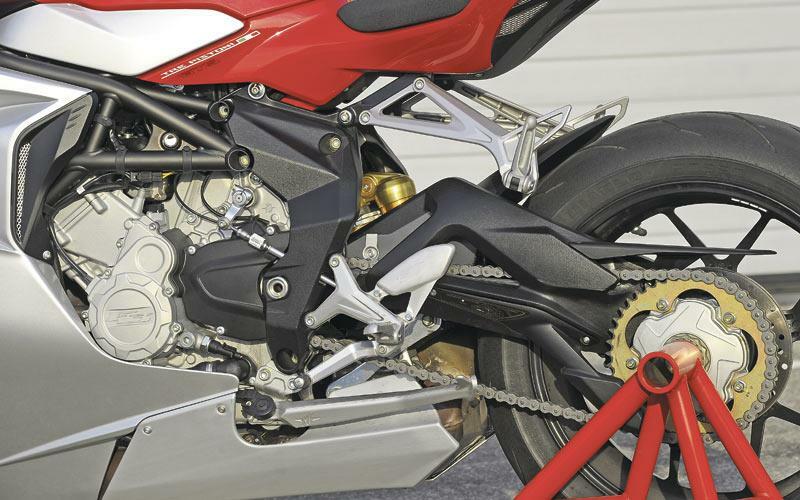 This is the most highly-spec’d supersports bike you can buy, with its electronics, fully-adjustable suspension and Brembo brakes. It’s true exotica, without the over-the-top price tag. 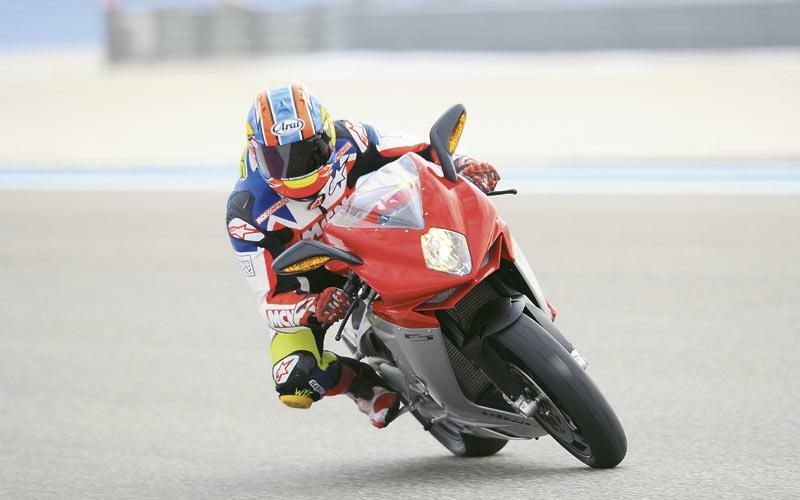 4 owners have reviewed their MV-AGUSTA F3 675 (2012-on) and rated it in a number of areas. Read what they have to say and what they like and dislike about the bike below. I bought this bike to use side by side with my rsv4 and had some reservations about it and its electronics. Shes not even run in yet but i can tell you the bike is sublime! The motor is silky smooth with some serious midrange punch for a 600 class bike. The brakes as always are spot on and pack more than enough punch. The handling is simply out of this world and it really does feel like youve mounted and old 250 racer. Something else. So light and responsive in the corners it just delivers grins in the bucket loads. As for the electronics.. i wasnt too keen on the fly by wire throttle as it lacked feel for me at first. However after a bit of adjustment its spot on. Ive not ventured too far yet in to the custom map but have for now just turned off the traction control and left the engine braking as was. And it feels awesome. The quickshifter is fantastic. Has not missed a beat. I had an f4 1000r some years ago and it suffered from poor fueling as these did reportedly on launch. However on the latest software mapping it is a peach. Even in town amd at low speed! On that note the bike deserves a fresh review. Mine already has a whole host of goodies to be bolted on but this is through peraonal choice as opposed to nesecity. The bike is a fantastic and beautifuly finished package. Even if it is at the lower end of the MV budget there is quite simply no other 600 on the market that will assualt your senses in the same way whilst delivering such a plush ride and do so with such beauty. 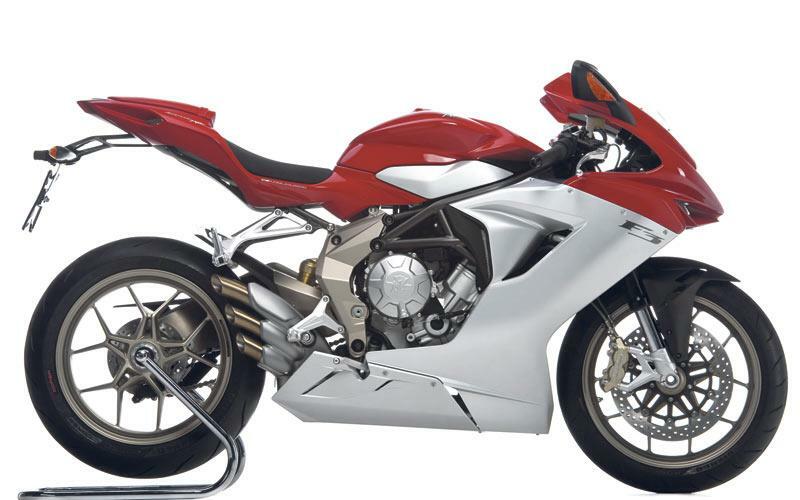 And absoloute testament to MV Agusta. Gary Johnson showed what this bike can do at the TT last week. He wouldn't be riding it if it didn't have the potential. Sounds great with the straight through pipe, through Sulby at 160 mph. Not sure if the scores registered as site was playing up. What can I say this machine gets better and better. She is a dream, so much so that my husband after a committed litre bike fanatic has ordered one for himself. It doesn't get any better.